Launched in December 2013, the Qatar e-Nature application was created by Sasol in association with Friends of the Environment Centre (FEC). Qatar e-Nature has now been updated to include the rich diversity of mammals and reptiles that are found across the State of Qatar, in addition to the flora, birds and insects already available in this widely-used application. Available in both Arabic and English, the free application has wide-ranging benefits to students and members of the general public, offering knowledge and insight on the country’s ecological array. The first of its kind in the region, the Qatar e-Nature application is available in application stores for smartphones and tablets. Developed to support the objectives of Qatar National Vision 2030, Qatar e-Nature aimsto promote sustainable development by contributing towards environmental awareness in communities throughout the country. 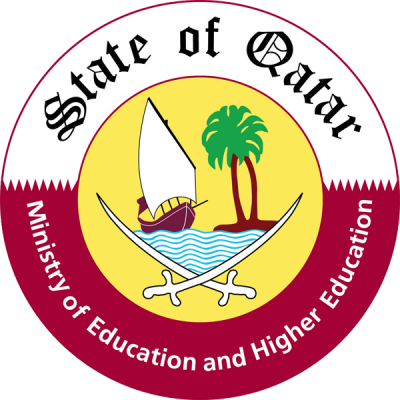 Seeing the value in the application, Supreme Education Council will lend its support by rolling out the application in all schools across Qatar this year. With the SEC’s support, the application will enhance environmental awareness at a grassroots level. Content within Qatar e-Nature has been developed with zoology specialists. High quality photography, vivid descriptions and accurate data provide a simple means of identifying and learning about the animals we share the land with. Adding mammals and reptiles to the flora, birds and insects currently on the application makes Qatar e-Nature an invaluable resource for every resident. Easy to navigate and rich in content, including a full range of bird call sounds, the expanded content provides entertaining education for new and existing users. 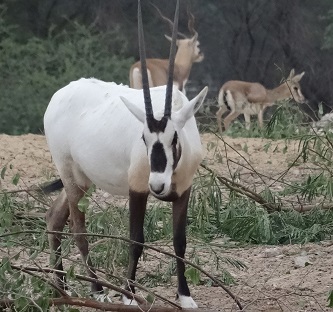 Users of the app can now discover mammals like the Arabian Oryx. The comprehensive update also features a comprehensive guide on the reptile species in Qatar, including lizards and snakes. Work is underway now to gather information about fish in Qatar to add to this application, making it a comprehensive and essential reference in both Arabic and English for all flora and fauna in the country. In April and May of this year, the Qatar e-Nature Schools Contest reached 159,000 students in 162 schools across the country, culminating in the selection of 22 winners from all grades and all ages, including the grand-prize winner of an all-expense paid safari nature trip to South Africa for 2 people. Another motivating country wide schools contest for 2015 is being prepared and will be launched early next year. To update the application, current users need to simply visit the App Store, Google Play or the Windows Phone Store and download the update, while the app will be updated directly for users who have automatic updates. The information is also available on www.enature.qa.